1.) Skiing & Snowboarding! 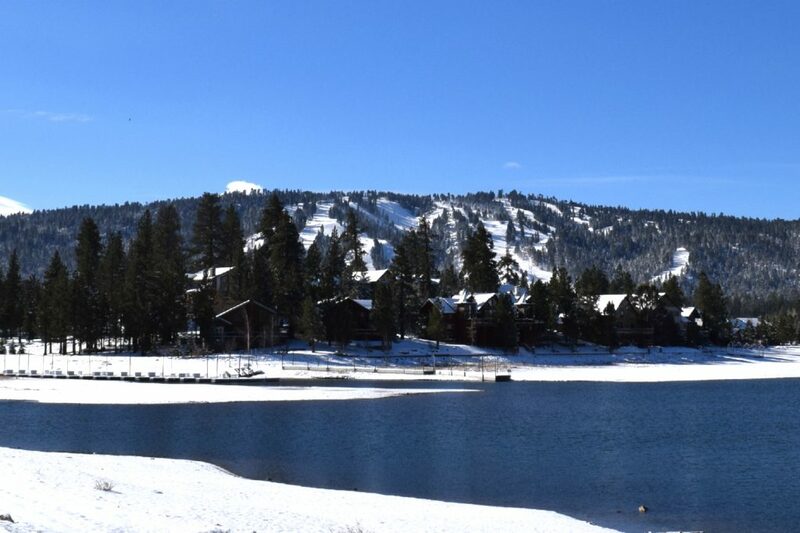 The most popular reason to come to Big Bear Lake in the winter is for skiing and snowboarding. Big Bear Lake boasts some of the best snow making technology in the nation as well as beautiful weather and a large variety of park features. The best way to enjoy Snow Summit and Bear Mountain is to buy your lift tickets in advance and plan your trip mid-week to avoid the crowds and traffic. 2.) Take a Lesson! It’s always more fun when you know what you are doing. Take a refresher course or learn a new skill from the pros. Both Bear Mountain and Snow Summit offer skiing and snowboarding lessons. Consider taking a private lesson or schedule your trip mid-week for more personal attention. You are sure to earn yourself some bragging rights once your friends see your GoPro video on Facebook. 3.) Soak in the Hot Tub! Turn up the heat and crank up the jets. Soothe your tired muscles after a day on the slopes in your own private hot tub. 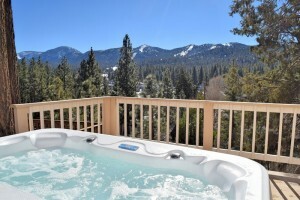 Our Big Bear Lake cabin rentals have hot tubs with amazing views or ask about an indoor hot tub. 5.) Get Cozy by the Fireplace! Almost all of our cabin rentals in Big Bear Lake have a fireplace for you to enjoy and winter is the perfect time to get cozy. Snuggle up with your special someone or warm up while you read your favorite book. 6.) Have a Snowball Fight! Bundle up and head outside for a good old fashioned snowball fight. You are sure to feel like a kid again! The best part? It’s free! Just be sure to have your fun away from the windows of your car and Big Bear cabin rental. 7.) Go Sledding! 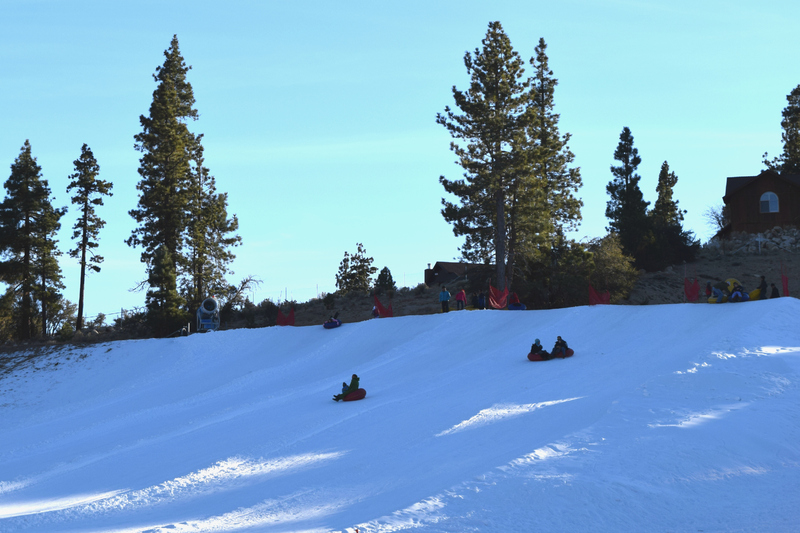 Grab your sled and head to the hills of the San Bernardino National Forest for free fun in the snow. Sledding is not permitted on private property and avoid parking along the road. Please pick up any broken sled pieces and trash to help us keep Big Bear Lake clean and enjoyable for everyone. 9.) Go Tubing! Take a ride up the “magic carpet” then slide down the hill on an inner tube! Big Bear Lake has 3 pay-to-play ways to enjoy the thrill of the hill. The whole family is sure to have fun at Alpine Slide at Magic Mountain, Snow Play or the new tubing park at Snow Summit. No skills required! Just bring your smile and get ready to have a blast. 10.) Take Pictures! 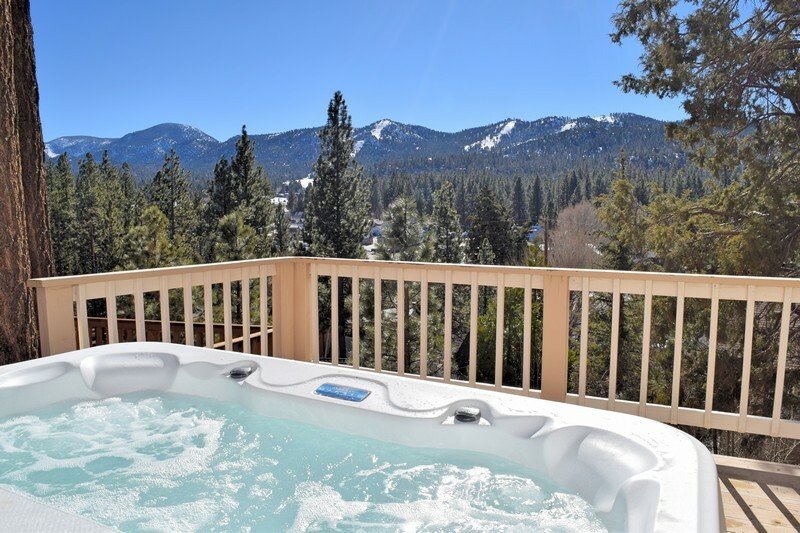 Your friends and family will love seeing the winter beauty of Big Bear Lake and you will want to keep the memories forever. There aren’t many places in the country where you can see ocean, desert and snow all in one day! We love to see our guests having a great time, so feel free to share your moments with us on our Facebook page. Get your winter adventure started by booking a cabin rental in Big Bear Lake. Let our vacation experts know how you would like to spend your time. We have cabin rentals close to Snow Summit, Bear Mountain and The Village. Need a pet friendly cabin or want a luxury vacation rental? We have those, too! Call (909) 752-0234 and tell your friends and family to pack their bags, and their winter coats! Next story Returning Guests! 25% Discount on Great Cabins!